Posted by leskanturek in Art History, Artists, Frankenstein, Frankenstein Illustrated, Summer Reading Project. The first edition of Frankenstein was published in 1818. The first instance of it being illustrated is the third edition of 1831 with engraved vignette titles and frontispieces by Theodor Von Holst. (Above) Pages from the the 1831, 3rd edition, London: Henry Colburn and Richard Bentley. These pages do appear as a spread in the book. 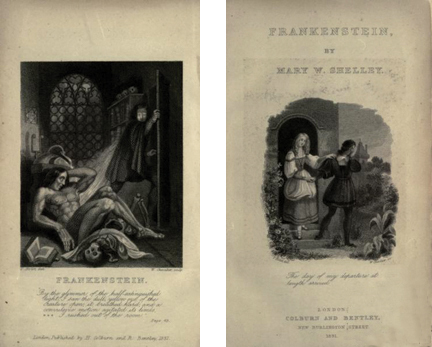 (Left) The text on the frontispiece reads: ‘By the glimmer of the half-extinguished light, I saw the dull yellow eye of the creature open; it breathed hard and a convulsive motion agitated its limbs … I rushed out of the room’, (right) Frankenstein departs from Elizabeth. A 19th century British painter, and the first artist to tackle illustrating Frankenstein. Von Holst was mentored by Henry Fuseli whom he met as a student at the Royal Academy of Arts in London where Fuseli was a Professor of Painting. Von Holst was a student of Fuseli’s for only a year when Fuseli died in 1825. 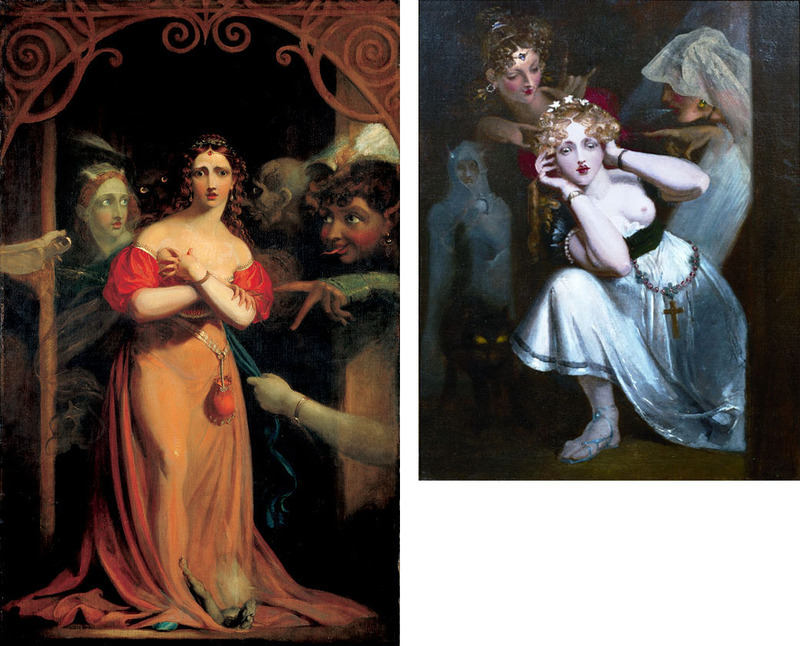 Henry Fuseli had a huge influence on Von Holst despite the short time period. He (Fuseli) is of course the well known painter of supernatural subjects (you probably know his 1781 painting “ Nightmare”). 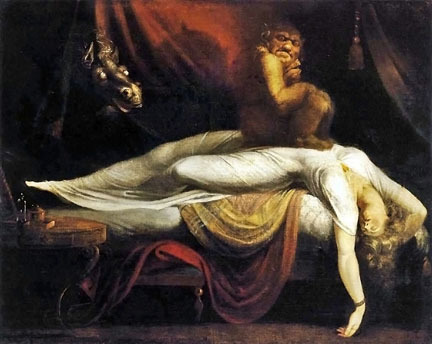 Von Holst’s work is very reminiscent of Fuseli’s. He gained a reputation of illustrating the German Romantics (Goethe’s Faust) as well as the supernatural, so his choice as illustrator seems fitting. A note about Henry Fuseli. Fuseli was Swiss born, and the idea for Frankenstein was conceived in Switzerland near lake Geneva as well as part of the book’s plot takes place in Switzerland. It is also worth mentioning that Mary Shelley’s mother, Mary Wollstonecraft, had an affair with Fuseli.